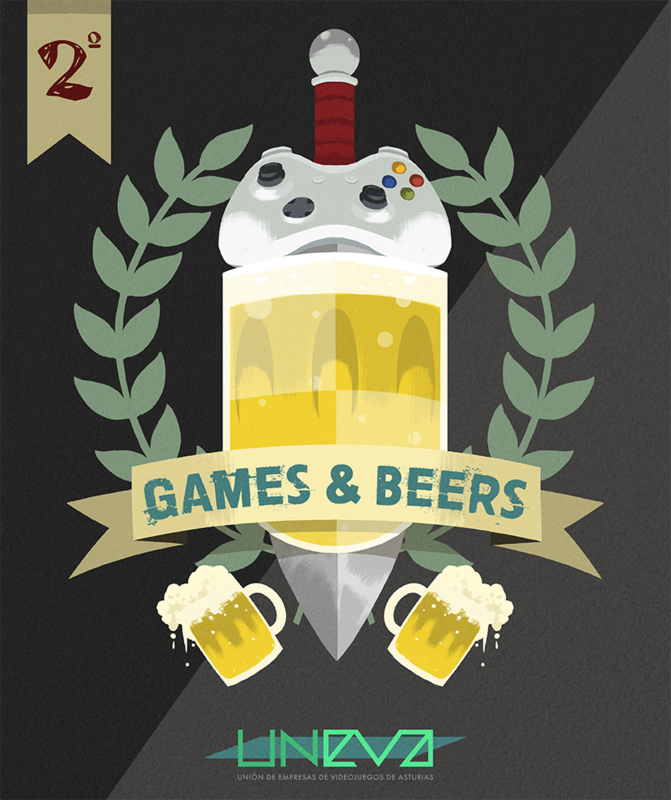 UNEVA, the first and only one (by the moment) association of professional game developers here in our province, Asturias, organizes once every one/two months a meeting for all the people interested in games, development, beers, or whatever may fit in between. This time it will be placed in Oviedo, on 25th September, from 20:30 to 23:00. We, as one of the members of the association, are proud of this iniciative and don’t hesitate to recommend attending. And in case you are too far, you should join with other people and try to organize meetings locally, as this proves to be a good place to start building a local community. This time is the third installment of the event, and will not be the last: the people behind, our mates, are making a great job organizing everything, and the ones who come are more willing to share their experiences, as we have seen in the second meeting. Edu, from Zacapumba showed us how he built their idea from a Game Jam protoype. Download it here. And the guys from Crowdference explained a bit what is crowdference and how can it help in developing games. We were glad to contribute, even just by attending the event, which is important to everyone involved. But we hope, as others previously, to share our work and ideas publicly in future editions. This is a simple but great initiatives that builds a community around game development in a strong way, people to people. If you are interested, remember to check UNEVA’s Facebook page. Its free!